Just as with any other company you may be with, the time may come to switch. Perhaps you've found a better price elsewhere. Or maybe there was something you didn't like about the service. Whatever your reasons for wanting to make a change, you are well within your rights to do so. But many people wonder if there is a right way to switch when it comes to their homeowners insurance company. The good news is that there is a right way, and that doing things in this manner can make switching insurance companies quick and painless. The date your policy expires is an important thing to know before you make your switch. Once the date on your policy passes, your current company will assume you want to renew unless they are notified otherwise. Those with policies that are paid via automatic withdrawal every month will most likely receive renewal documents in the mail. Those looking to change insurance companies are advised to inform the company named in their current policy 30-60 days prior to the expiration of their policy, as informing the company on the day a policy expires will be too late. If you find yourself in a situation where you are switching due your agent going elsewhere, it's crucial that you begin comparing companies as soon as you receive notice of their departure. You may find there are several new companies and options, and you will need time to adequately explore them all and make an informed decision about your next insurance company. When comparing, investigate whether multiple policy discounts are available. Also, don't forget to compare coverage limits between companies, as these will often differ. And it's always a good idea to investigate the cancellation policies of the companies you're considering. Many homeowners experience stress over the best way to tell their insurance company they are leaving. But it really doesn't have to be difficult. Your insurance company will need some type of written or typed notice from you that states your intentions. This note should be signed by the policy owner, and include the date you wish to have your policy cancelled. And you may not even have to write one, as your policy may have already included this form in the same area that your declaration page is located. Should you not be able to locate your cancellation form, you can call your insurance company and request that they send you one. Ensure that you've filled in all the required fields on the form so that there are no misunderstandings or delays with your cancellation request. Often, your insurance agent can handle all of this information seamlessly for you, and forward any necessary documentation to you electronically or via mail. The switching process may differ depending on your situation and time you are switching. If you are making premium payments from an escrow account and wish to switch mid-term, then the best thing to do is to contact your company to see whether or not they can balance your escrow account by paying your new company, and then putting the refund from your old company back into your account. Those who are using escrow for premium payments that wish to switch at renewal will need to contact their lender up to two months in advance of that renewal and instruct them not to pay it to your former company. Depending on the company you've chosen, they may offer to contact your old company as well as arrange for document and information transfer. 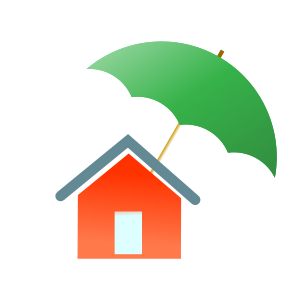 Although there may be a lot to consider when switching homeowners insurance companies, the fact is that doing this can save you thousands of dollars over the years. Of course, no one wants to have to endure this process several times over, which is why ensuring the company you choose will be around for years to come makes sense. About the author: Guest author Carly Jorge writes a lot on the homeowners insurance industry. She recommends The Home Protection Geek, a site dedicated to helping consumers understand the homeowners insurance industry.